Release Day and Winners Announcement!! Today marks our OFFICIAL Release Day! I hope you enjoyed our little mini hop and was able to play along! Today is the day the stamps go for SALE on our website. Grab our Release Package Deal for some extra savings. Remember SHIPPING IS Free for US order only...if you are international, please contact us with your country and postal code so we can get a rate to you! Here is a recap of what is on sale starting today! 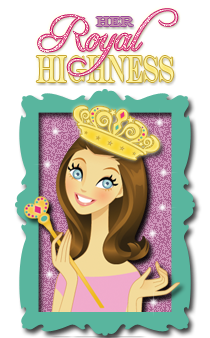 the WINNERS from our BLOG HOP! 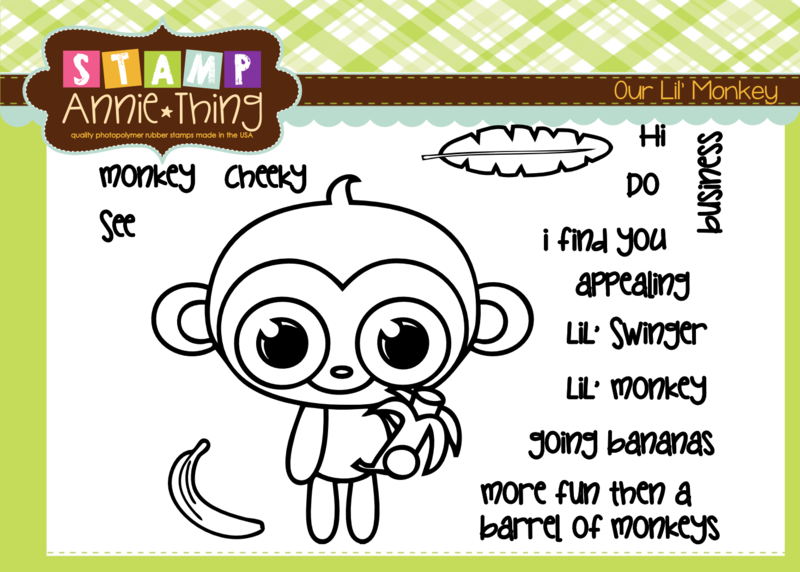 Please email me at sales @ stampanniething.com to claim your prize!! if you missed Day 1, or Day 2, or Day 3, you want to go back to see!! My name is Annie, creator of Stamp AnnieThing, and I'm your first stop on the mini hop! Today we are sharing our new release, Here's the Dirt. This is a VERY simple project, and its functional too! 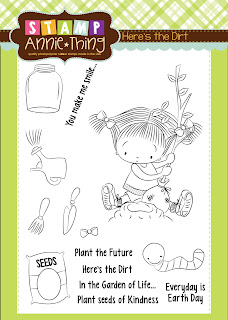 I created a template for a SEED PACKET that you can actually add your own SEEDS to and hand out as gifts and tokens for the planting season! Remember Arbor and Earth day are right around the corner!! if you missed Day 1, or Day 2, you want to go back to see!! Today we are sharing our new release, on our upcoming "Our Lil' " Series. This is probably my favorite one of the Our Lil' Series collection! Day 2, March Release Peak! if you missed Day 1, you want to start here, so you can participate to WIN! This is our VERY first Stamp Release and Mini Hop, so I hope you will have fun joining in!! 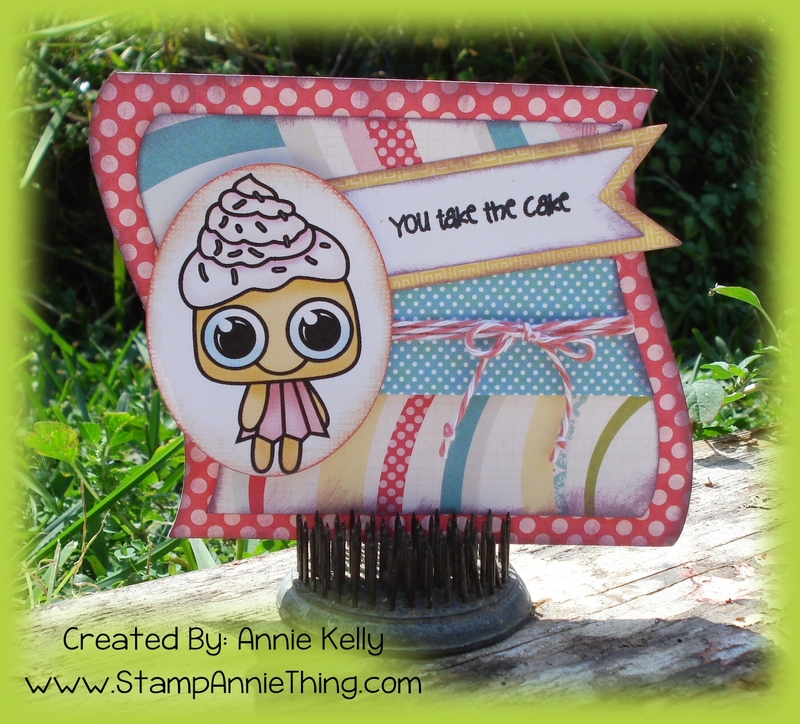 I created a very simple and sweet card featuring the Lil' Cupcake gal! I colored with my copic markers, but neglected to write the colors, sorry! 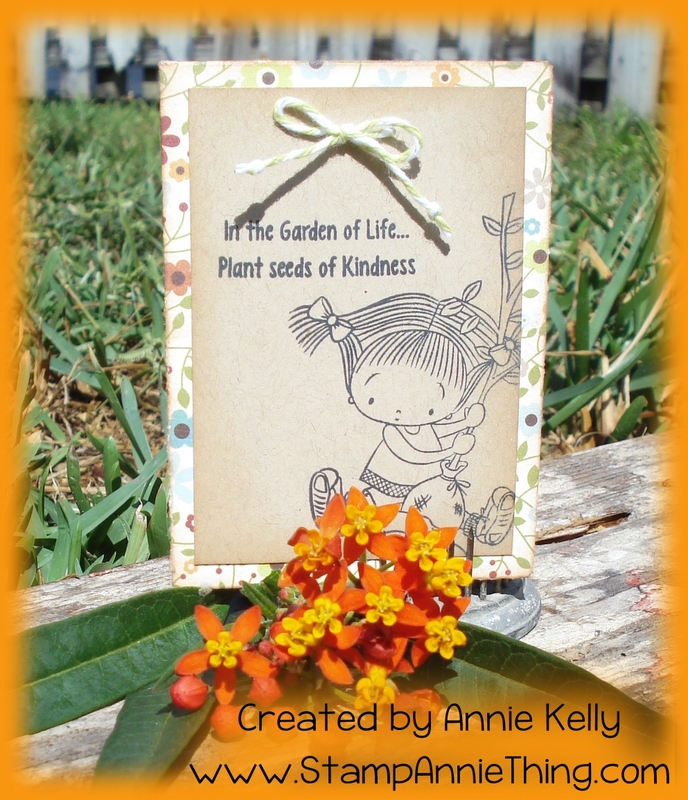 Today's little card was made using the "For Peeps Sake" stamp set from the Stamp Annie*Thing Store. This set is sooo AWESOME for my Easter cards. The carrot strip was created from the stamp set also with the loose carrot. Happy Wednesday! Hope everyone is ready for Easter! that are the cute little BUNNIES! some Bunny LOVE your way! will be Released on Friday, March 29th! Good morning! 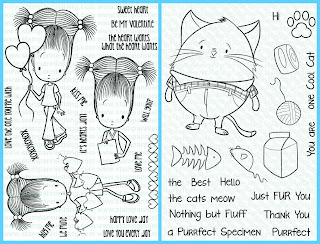 I have a sweet Thank You card to share that was created with the adorable Lulu's Valentines Day stamp set and one of the sentiments from One Cool Cat! 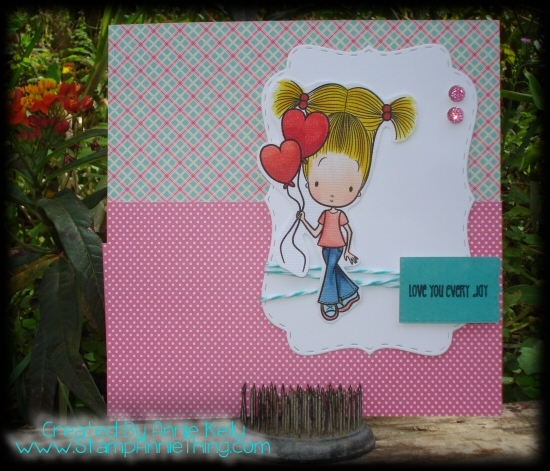 I used one of the three (3) adorable girls in the Lulu's Valentines Day stamp set. After coloring her skin and hair with Copic Markers, I paper pieced her top. 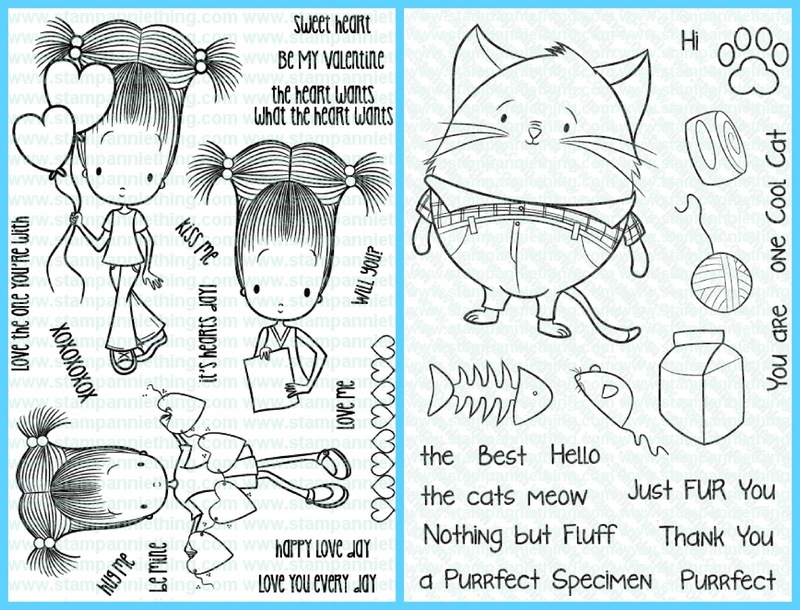 Then I decided to use one of the sentiments from One Cool Cat stamp set. I love how you can combine the different stamp sets by Stamp Annie*Thing to meet the needs of your design. 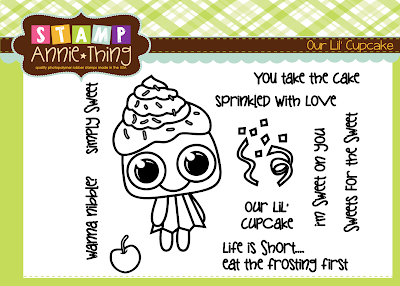 Just click on the link below to see all of the awesome stamps available! While you're here remember to become a Follower, and/or sign-up for email updates so you don't miss any of the Stamp Annie*Thing News! It would be awesome if you come "Like" our Facebook Page so that you can share the projects you create with your Stamp Annie*Thing products! Speaking of Stamp Annie*Thing News! Next week is our Stamp Release - Mini Hop starting Monday, March 25th and ending on Thursday, March 28th! Each day the Design Team will feature a NEW Stamp Set that will be Released on Friday, March 29th! You will have a chance to win the NEW Stamps for your own. Awesome right! So mark your calendars and Hop along with us! As you can see, she isnt just for Valentines Day! I always enjoy coloring LuLu, she has great hair to color! Lulu is carrying some heart shaped ballons, but she Loves You Every day! 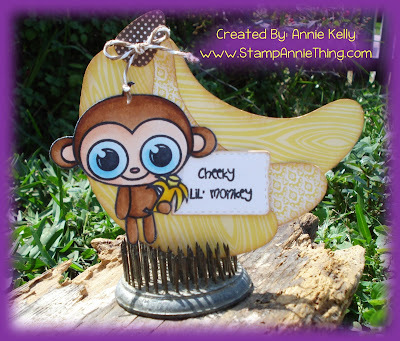 Hi everyone it's Sherri from The Squeaky Scrapper here with another Stamp Annie*Thing project for you. 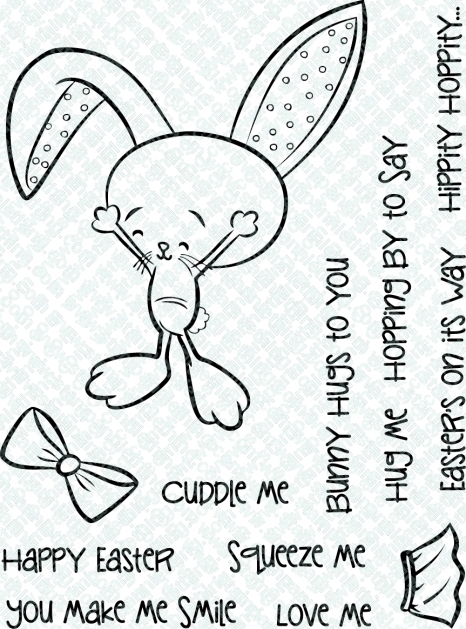 Today I made a cute little Easter card combining two (2) stamp sets, "For Peeps Sake" and "Bunny Hugs To You". 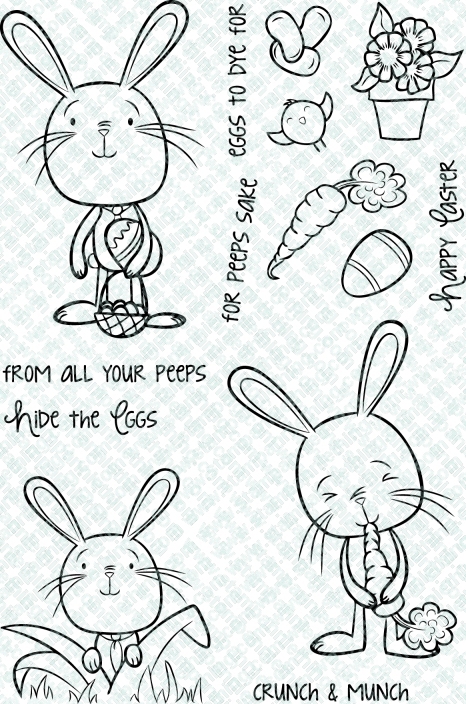 These stamp sets are sooooo cute for Easter, and you still have time to order them from the Stamp Annie*Thing Store ~ but you better hurry before they're all gone!! 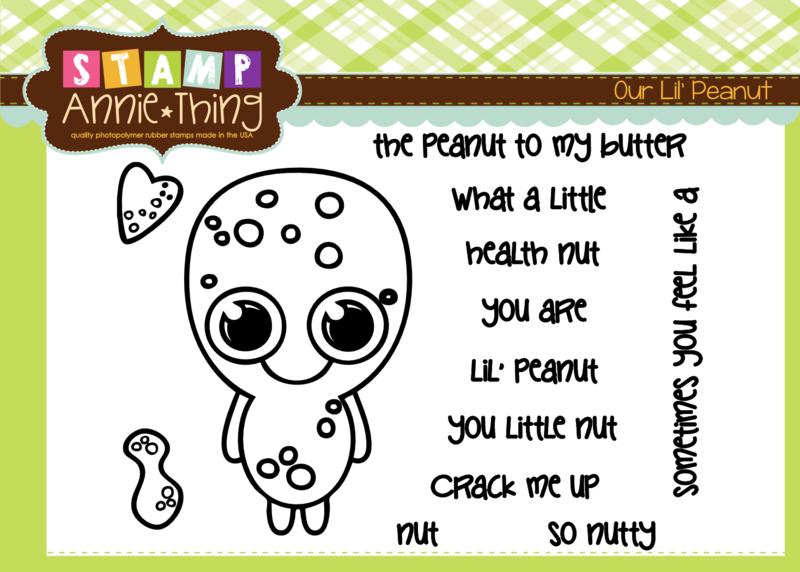 Good morning, Ruza here to share some adorable cards I created using the lovely Stamp Annie*Thing Rare Bird stamp set! I had so much fun creating this card. After coloring one of the birds with my Copic Markers I cut it out, then used a couple of the other images in the set on textured cardstock to create the scene in my mind, and colored those images also. The sky was created with Tim Holtz Tumbled Glass & Stormy Sky Distress Ink, and a couple cloud dies. I just added the darker distress ink to my dauber and applied it under the cloud die to get the shape of clouds. The lighter color was then applied over the entire textured cardstock which I blended in with the darker color. The final touch was to add some bling and pop on the bird with 3D foam tape. This is the first time I've tried this technique and I love how it turned out. Here is side view of the card to show the wings in flight. The wings fold flat for mailing. As stated above, I had fun with this stamp set and couldn't stop with just one card. This card features a couple of the other images in the Rare Bird stamp set. 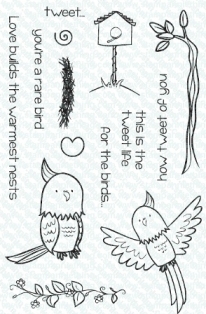 The Rare Birds stamp set is one of many that you will find the Stamp Annie*Thing Store. Just click on the link below to check them all out! Hi everyone, Annie here...and today I'm sharing with you a wonderful little card called Voo Doo You Love? I hope you enjoyed my card creation.... leave a comment, would love to hear from you!! Good morning and welcome to the Stamp Annie*Thing Blog. My name is Sherri and my blog is The Squeaky Scrapper. I am soooo excited and honored to be on the new Stamp Annie*Thing Design Team!! Today I made a card for you using the stamp set "For Peeps Sake", which you still have time to order from the Stamp Annie*Thing Store. 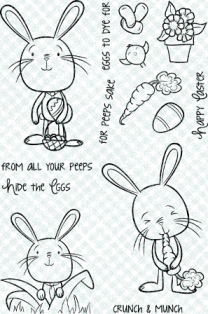 This is an adorable stamp set for Easter (see below). Aloha & Happy Easter Peeps! to show off the cute card she create while here on Maui..
get my new camera to take a decent pictures. There are still a couple of weeks until Easter so there is plenty of time to purchase these lovelies, or any of the other stamps available in the store! Just click on the Stamp Annie*Thing Logo below! While you're here make sure you become a Follower, and/or sign-up for email updates so you don't miss any of the awesome inspirational Posts coming up! It would be awesome if you come "LIKE" our Facebook Page so you can share what you create with our Stamp Annie*Thing products! Good morning! 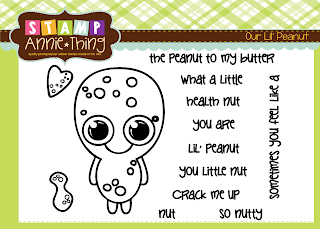 My name is Ruza, from Ruza's Craft Corner, and I am SUPER excited to be one of the very first Designers for Stamp Anniething* Quality Photopolymer rubber stamps* Made in the USA! 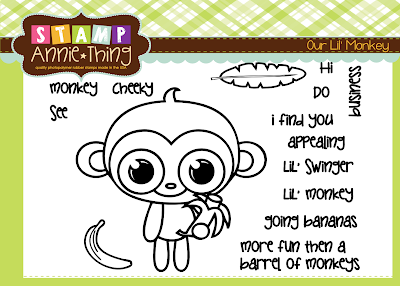 I will be popping in every Tuesday to share the various stamps available in the Stamp Annie*Thing Store! I have several different Easter cards to share with you today, here and on my Blog, so let's get this party started. 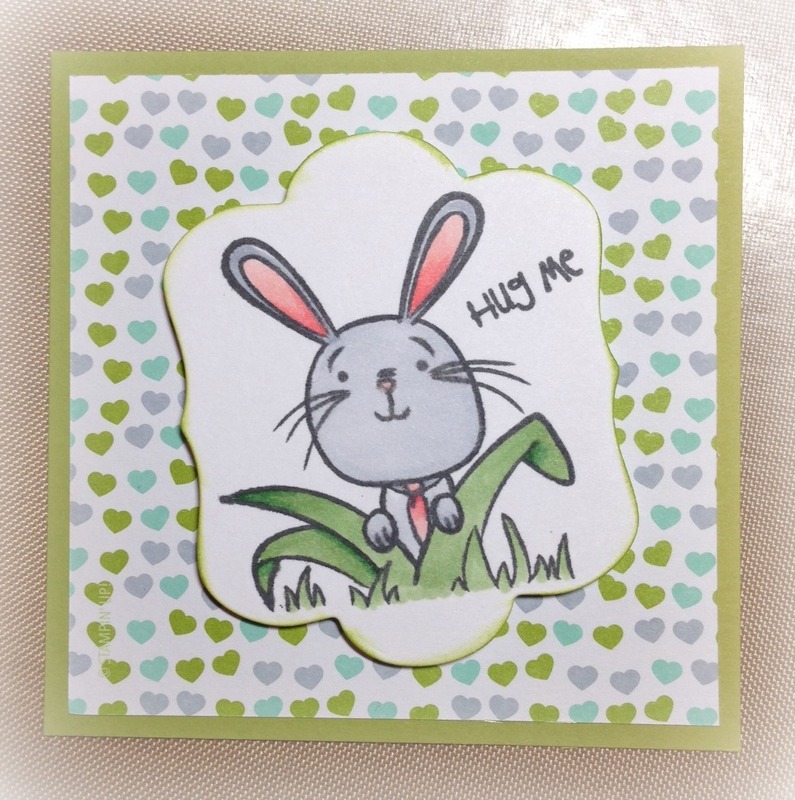 This adorable card features stamps from three different sets ... we have Bunny Hugs to You, For Peeps Sake & Rare Bird. Now my second card features one of the adorable bunnies available in the For Peeps Sake stamp set. All of the images for today's cards, except for the colorful Easter Eggs, were colored with my Copic Markers and cut out. 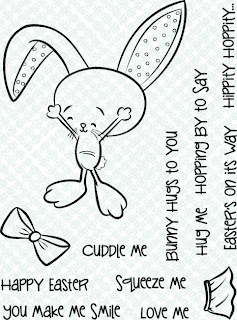 For the first card the Easter Egg was stamped on several different scraps of Design Paper, and cut out. As stated above, I have a couple more cards to share with you over on my Blog that I created with these lovely stamps! I hope you will stop by!